- Small Is Beautiful! As insubstantial as a daydream, these tiny triquetra post earrings are a lovely addition to any outfit. 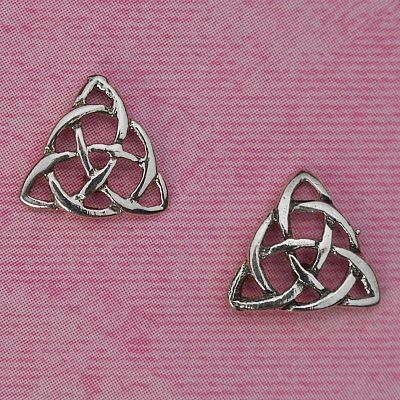 Do you have any other questions about our Silver Triquetra Stud Earrings? Beautiful earrings!! Very impressed with the quality and durability. The picture does not do them justice! When I received these earrings, I was very impressed with the quality. The fine detail in such a small intricate ring. I wear this all the time. It is a beautiful item.